Hartzell Propeller isn’t the only aviation company celebrating a milestone anniversary this year: It’s also the 80th anniversary of the Piper J-3 Cub, first built in 1937 by Piper Aircraft. 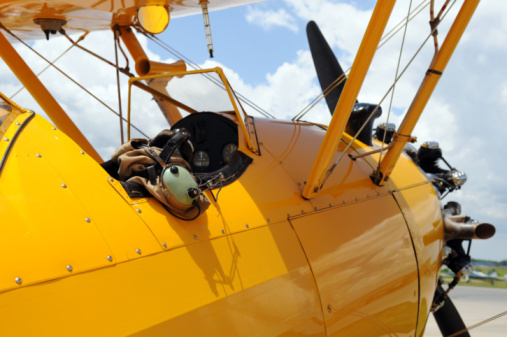 The two-place monoplane is usually found in an easily recognizable bright yellow color known as “Cub Yellow” or “Lock Haven Yellow,” featuring the design of a bear on the tail (hence the nickname “Cub”). Today’s Cubs are used for backcountry bush flying due to their simple, lightweight design and STOL capabilities. An affordable and easy to own aircraft, it’s considered by many to be an icon of general aviation. It’s often recounted that the Piper Cub is to aircraft what the Model T was to automobiles. It was originally intended to serve as aviation training aircraft for World War II pilots, and by the end of the war, it was reported that 80% of all American pilots received their initial flight training in a Piper Cub. For World War II service, Piper developed a military variant of the Cub, painting it an olive color and dubbing it the L-4 Grasshopper. During a brief period in World War II, a Piper Cub was being made every 20 minutes. Today, Piper Aircraft, Inc. remains passionate about providing opportunities for the general aviation market while also offering some of the best aviation values in the sky. They manufacture aircraft ranging from piston-engine trainers to high-performance turboprops. Hartzell Propeller is proud to partner with Piper Aircraft, providing conversion kits and original equipment propellers for nearly all Piper models. At this year’s EAA AirVenture Oshkosh, one of our favorite sights was that of hundreds of bold yellow Piper Cubs lined up perfectly along the flightline. Cub owners from across the United States and Canada gathered to celebrate the milestone anniversary of their beloved aircraft. 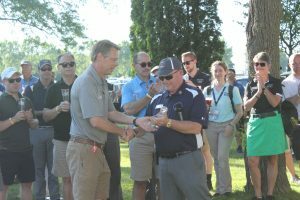 Another special moment at Oshkosh was commemorating both Hartzell and Piper’s anniversaries at our fifth annual Props and Hops event on the first evening of AirVenture 2017. 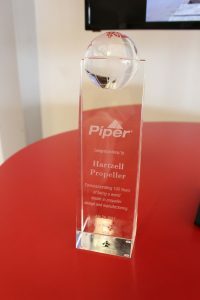 Piper presented Hartzell President Joe Brown with a lovely award of recognition, which you can view below. Congratulations, Piper Aircraft, on the 80th anniversary of the Piper Cub. We wish you many more years of aviation innovation!